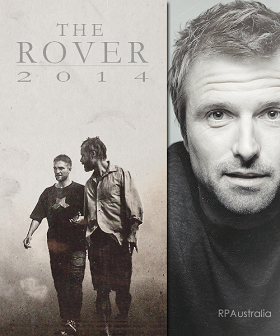 David talks with ‘The Vent’ about directing his latest film, ‘The Rover’. We’ve included a short excerpt of their discussion below. You can read the full interview at the source. Q: When did you begin working on this project? A: In about 2007 I was in Los Angeles and I didn’t really know why I was there. I had this little kind of group of friends in Sydney, with whom I had been making short films – basically we were a bunch of people who were at about the same level, roughly, of experience in the industry, and who all felt like perhaps we were just delusional, and had the comfort of sharing that delusion with other people. One of them was a guy named Spencer Susser, with whom I’d written a film called Hesher a few years ago, and Spencer already lived in LA – he was born there. Another was Joel Edgerton. He was an actor on the rise but he was still very much trying to make it happen back then. 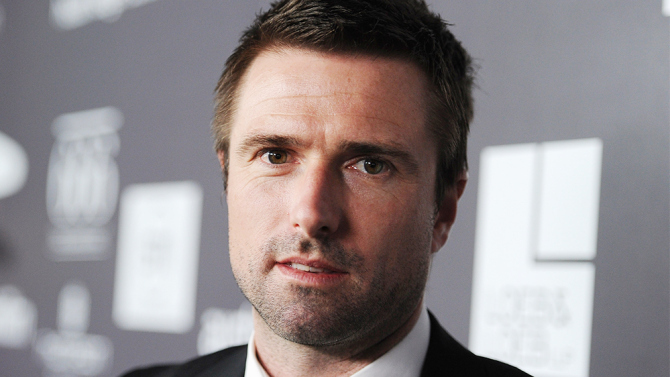 His brother Nash was an accomplished stunt man, with an aspiring directorial career. And then there was me, and I had been writing with them a little bit. I had been to film school years before, and it was one of my very early trips to Los Angeles; I just wanted to have a look at it and see what it was about. Q: So you were unsure of the direction you were heading in? A: When you’re tooling around in the kiddy pool of short films, it’s fun and it’s exciting, but you don’t know that you actually have any kind of meaningful career awaiting you. Having ambitions to be a director, I felt like I needed to go there at some point, so I thought that I might as well go there when my friends were there. I got there and then wondered why the hell I was there because it’s a brutal town if there’s nothing going on. While we were there, Joel and I started talking about a movie that maybe we would write together for his brother Nash to direct – his brother being a stunt man and a great practitioner of visceral action; his shorts are really alive on a physical level. We started writing a story that we thought was just about a man who has his car stolen in the desert. Joel and I spent about ten days thrashing the bare skeleton of a story out. I went away to write the first draft, and very quickly I started writing a movie that I wanted to direct. I then went away and made Animal Kingdom, which I had been writing for eight or nine years. Then in the couple of years after Animal Kingdom, I was working out how and where to make my next movie, and what it should be. I ended up coming back to The Rover, because I realised what I wanted to do was control my second film. I didn’t want to get sucked into the Hollywood machine and get chewed up by it. Q: You must have had a lot of offers after Animal Kingdom? A: Yeah, which meant that I spent a couple of very confusing years reading screenplays, having meetings, talking about possible projects – all of which was protracted, but very productive for me in terms of working out what kind of a filmmaking career I wanted to have. I realised that I wanted to direct my own writing, not because I didn’t like the scripts I was reading, but because I realised what I had probably already known, which is that for me, writing is the first part of the directing process, and directing is just a continuation of the writing process. Also, I wanted to maintain control of the project. Q: Did you write The Rover pre-economic crash? When you went back to it, did you adapt it in light of what had happened? A: Originally, that first draft was a very wild sort of action movie for Nash to direct. Nash at that time was already busy on something else, and I said, ‘I think I would quite like to direct this thing.’ I went away and completely stripped it back, and took a lot of the action sequences out, but what I had always loved at the centre of it was this murderously embittered man, and I began to see the ways I was able to project onto the character a lot of my feelings of despair and anguish about the state of the world, especially post-economic crisis.